GE demonstrates further confidence in its renewables business. General Electric this week announced an expansion of GE Renewable Energy, in the latest iteration of the corporation's energy business. The newly consolidated arm will house GE’s renewable energy and grid assets — solar and storage, wind and hydropower — all in one place. The company said the change “strategically positions” GE “to address the evolving needs of the power market, including the growth of renewable energy.” It comes on the heels of several larger reorganizations in efforts to cut costs, including one in November 2017 and another in June of last year. The news came just ahead of the company’s Q4 2018 earnings report. GE reported Thursday that annual revenue for the new segment, totaling $3.4 billion, was up 28 percent year-over-year. Overall revenue was also higher than expected, at $33.3 billion. “We have more work to do, but I’m encouraged by the changes we’re making to strengthen GE and create value for our shareholders, customers, and employees,” said GE Chairman and CEO H. Lawrence Culp, Jr. in a statement on the earnings report. GE’s arguments for the renewable restructuring align with its past goals to streamline the company’s operations. 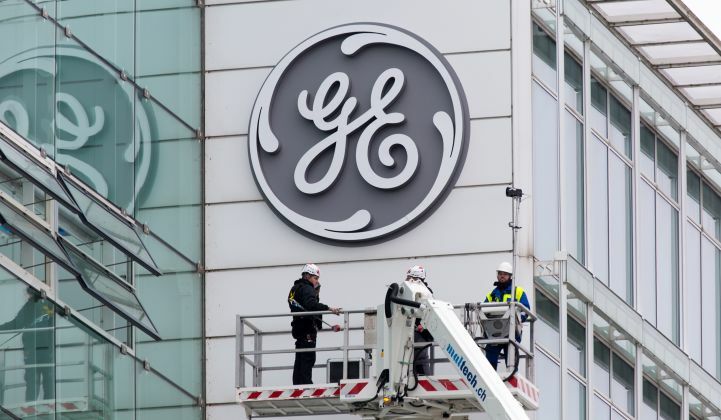 In its restructuring announced in June, GE said it would orient around power, renewables and aviation, while spinning off its other businesses. Culp said the latest shift will help GE lead in the growing renewables market. In a statement on the most recent renewables change, GE said it will be able to support customers with “end-to-end” solutions, including project development, “turnkey solutions,” and equipment and services. The unit pointed to 2018 deals like an $11 million research partnership with the Offshore Renewable Energy Catapult in the United Kingdom and the fleet of 120 2.5-megawatt turbines it will supply for a 300-megawatt wind farm in Texas in a deal with Scout Clean Energy. In the fourth quarter, GE Renewable Energy reported orders of 3,028 megawatts adding to 8,591 megawatts for the year. Onshore wind equipment and service orders were the big drivers there, and orders were up 19 percent, according to the company. “We saw an increase in orders and sales for the quarter and the year, reinforcing the potential of the renewable energy business to be a growth engine for GE,” said Jerome Pecresse, CEO of GE Renewable Energy, in a statement. GE's repositioning represents just another example of traditional power players jockeying for larger slices of the clean energy market. 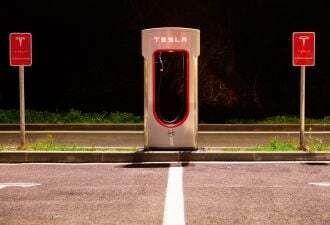 The company said the consolidation of the renewable energy business would allow it to stay in step with the changing needs of the power market. GE’s power segment has been a drag on the company for some time, as demand for gas turbines stagnated and demand for renewables increased. In November, its distributed power business, made up of its Jenbacher and Waukesha gas engine brands, became the standalone Innio. Though the company’s overall financial position seems healthier, the changes for power don’t appear to have significantly helped Q4 earnings. The company’s power business reported revenue was down 25 percent year-over-year.